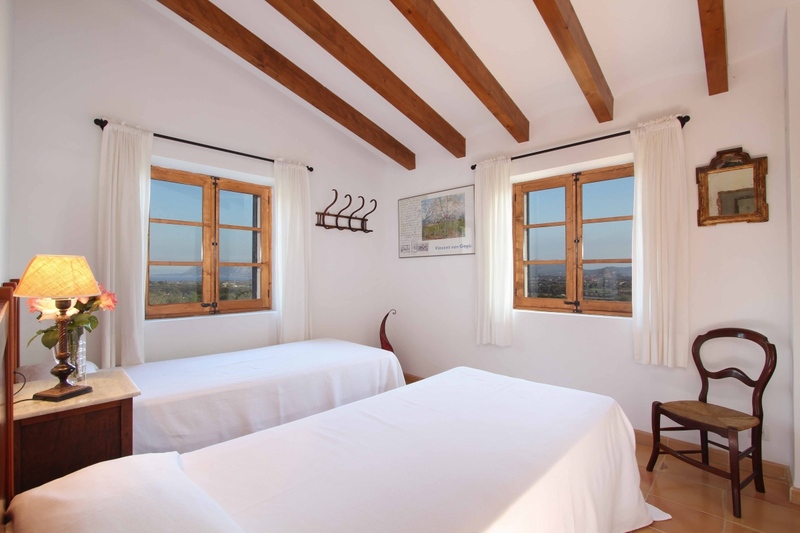 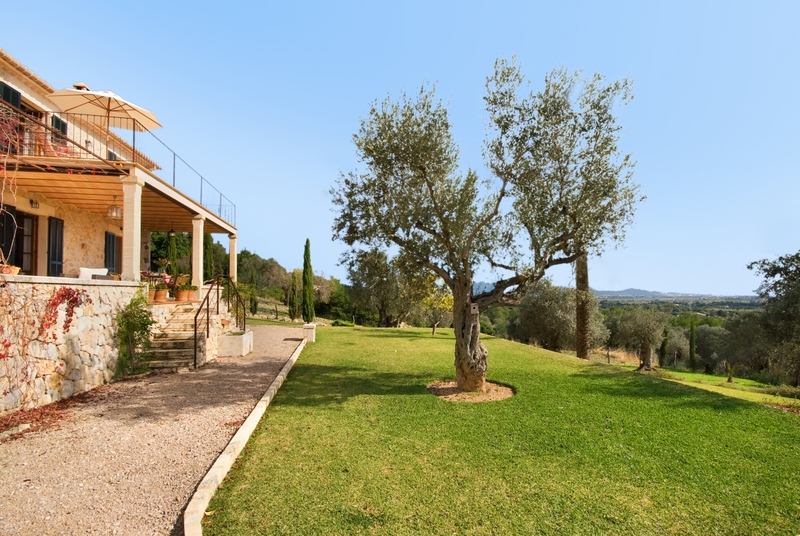 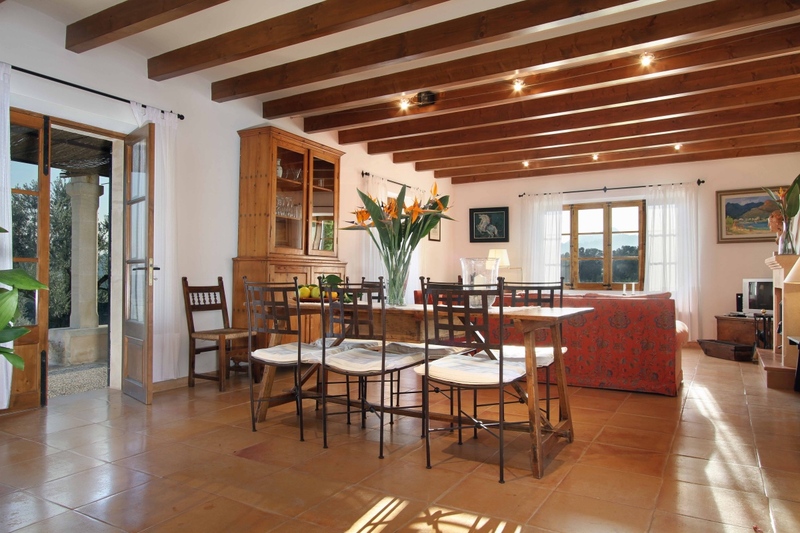 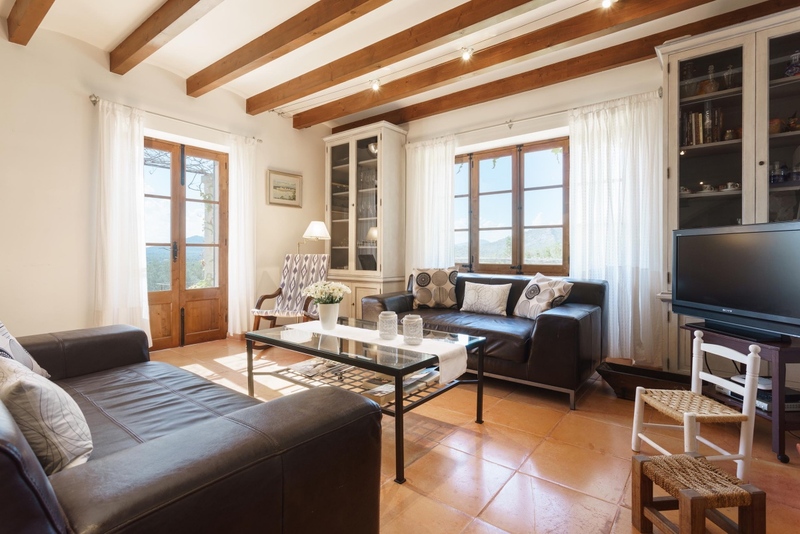 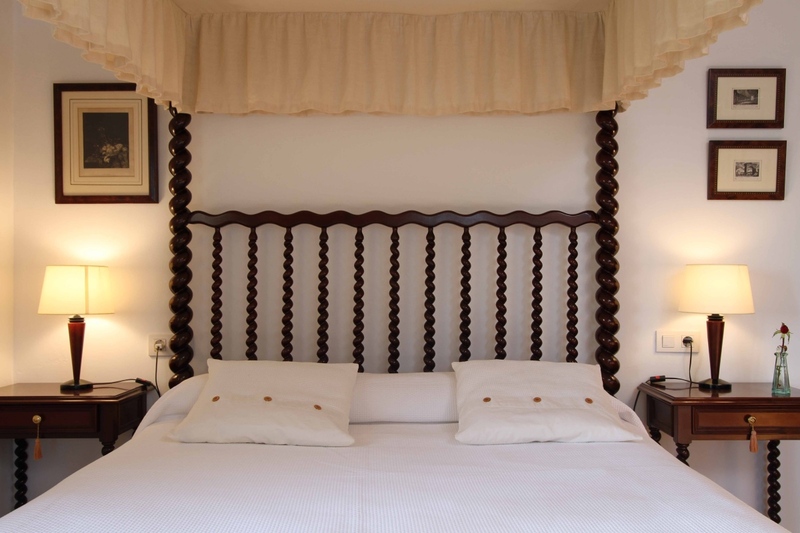 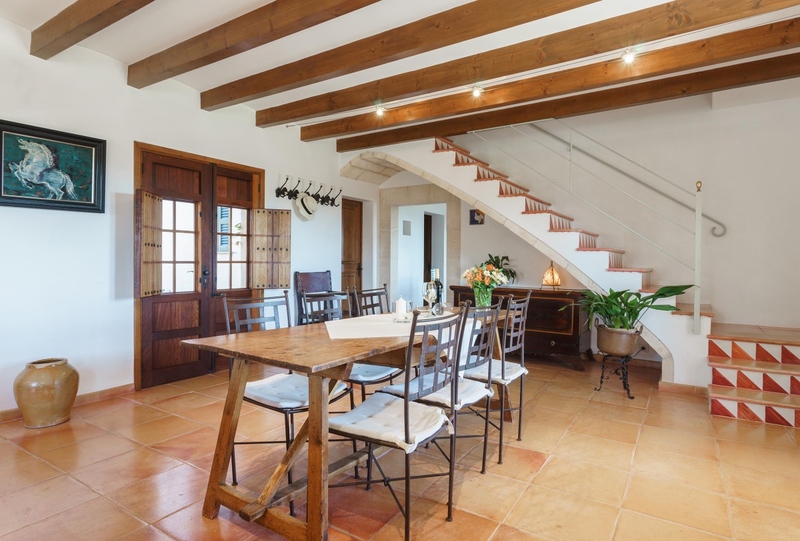 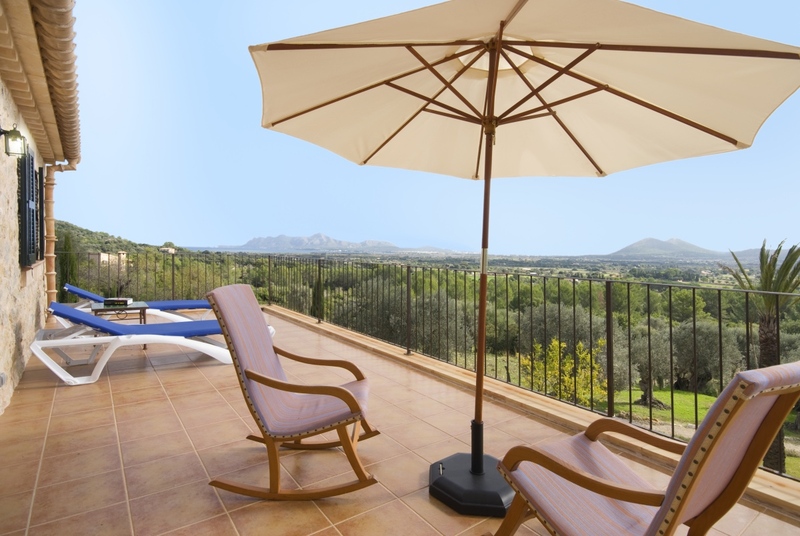 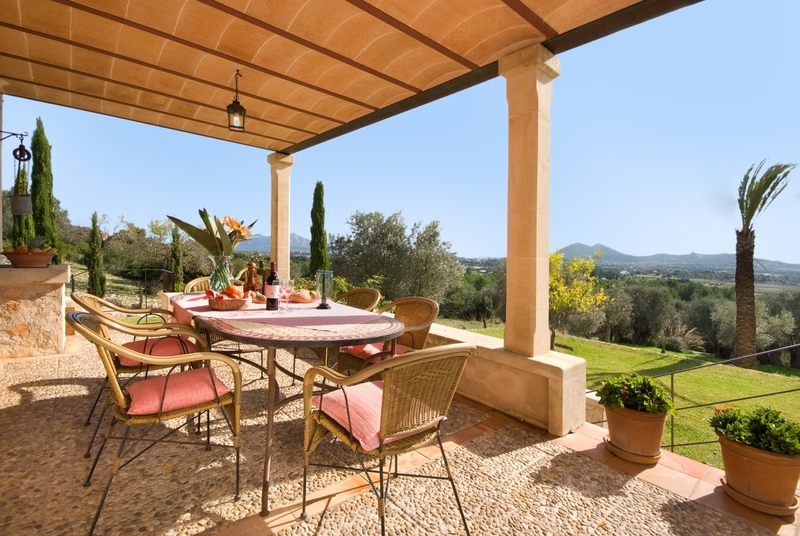 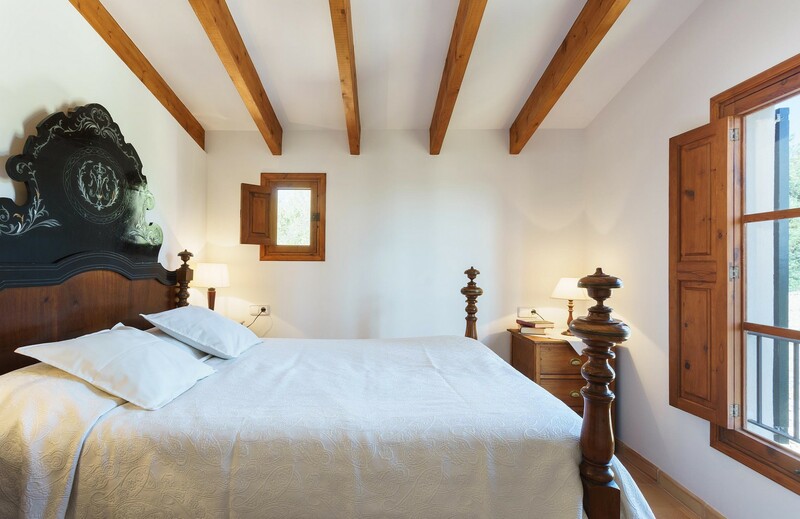 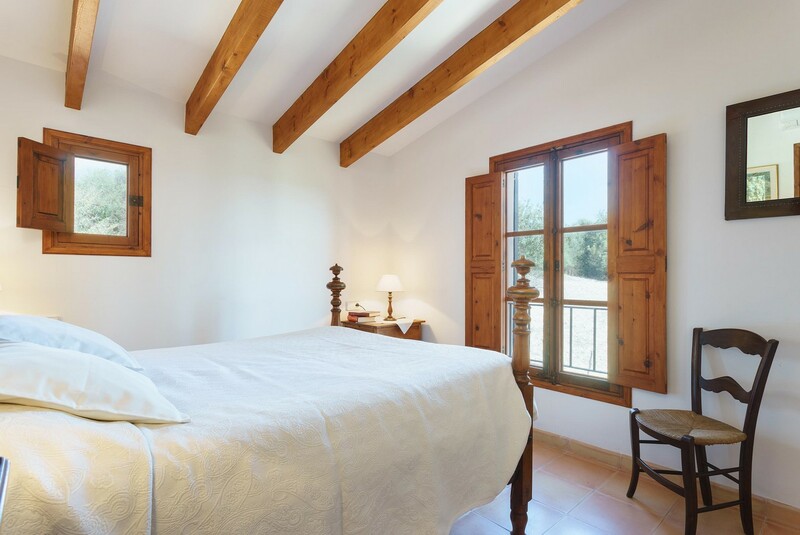 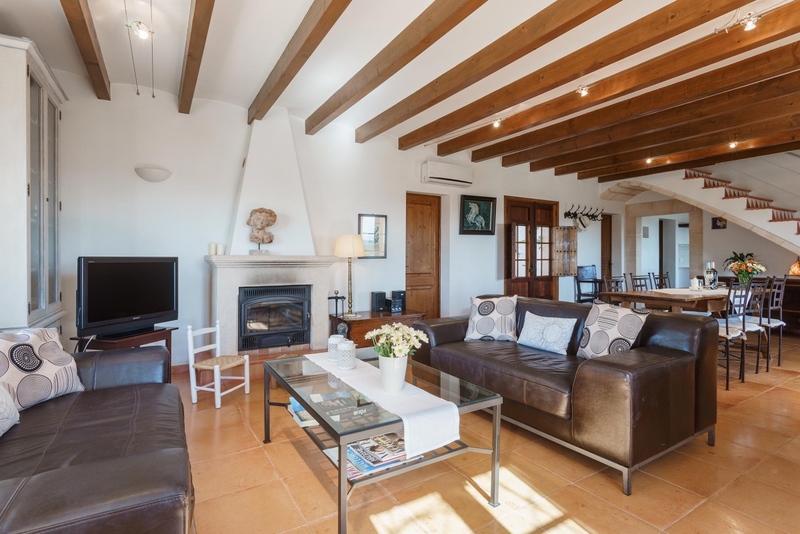 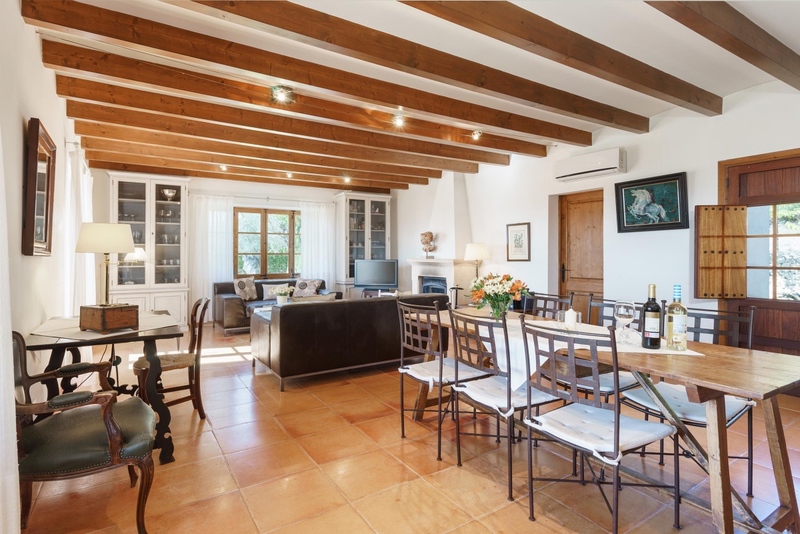 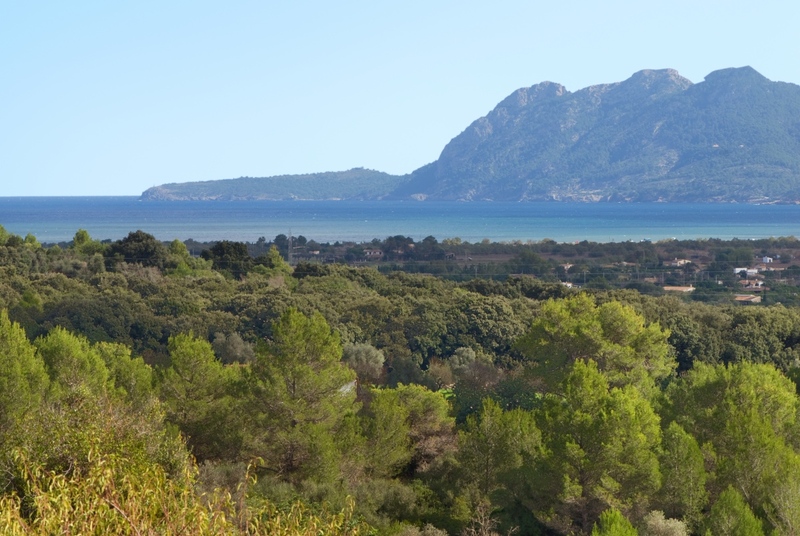 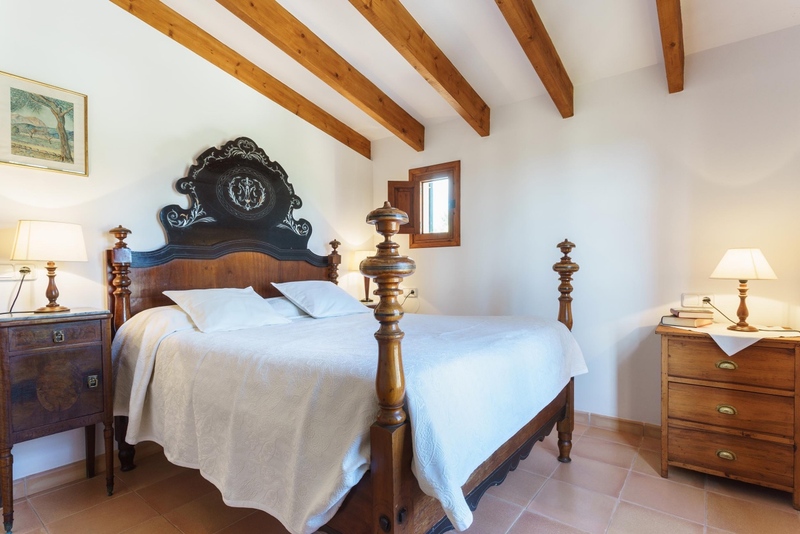 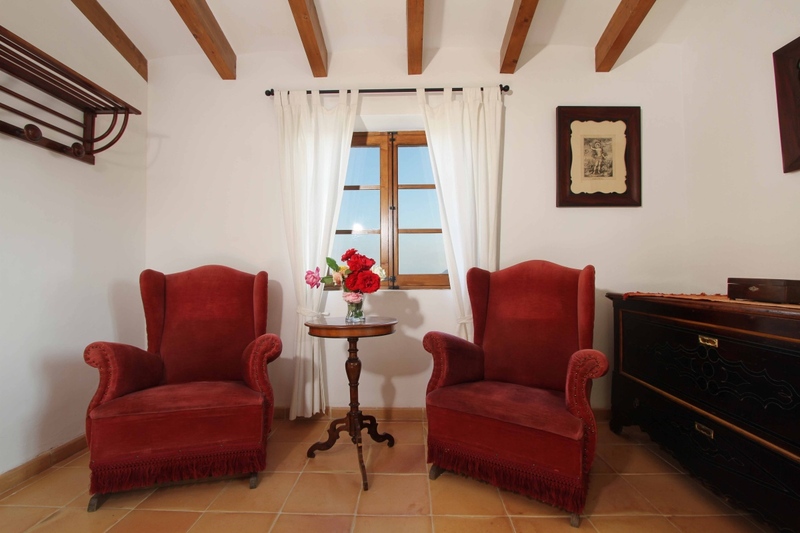 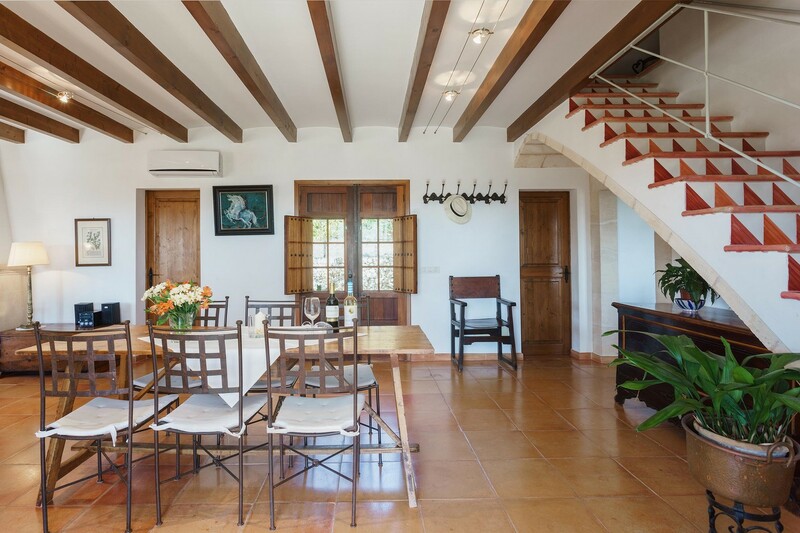 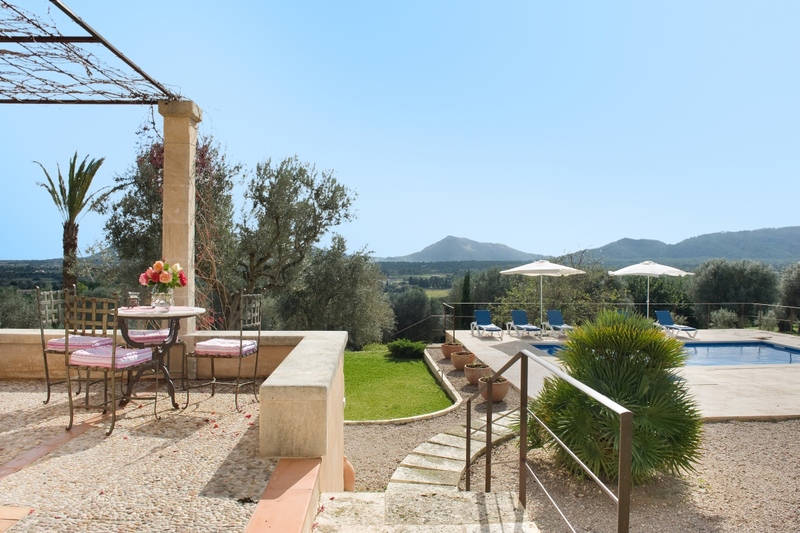 From the moment you first turn off the old country road Pollença-Alcudia into the private single track lane and drive up the hill through the ancient cultivated olive- and almond groves, you sense the feeling, you are at the beginning of a memorable holiday - in Finca "Muntalegre". 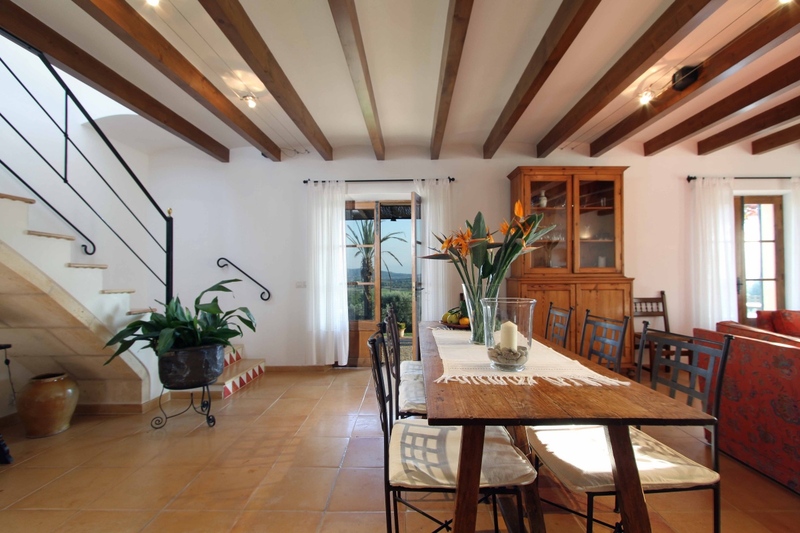 Entering via a solid door you will find the hallway opening with a large sitting-dining room and a fireplace. 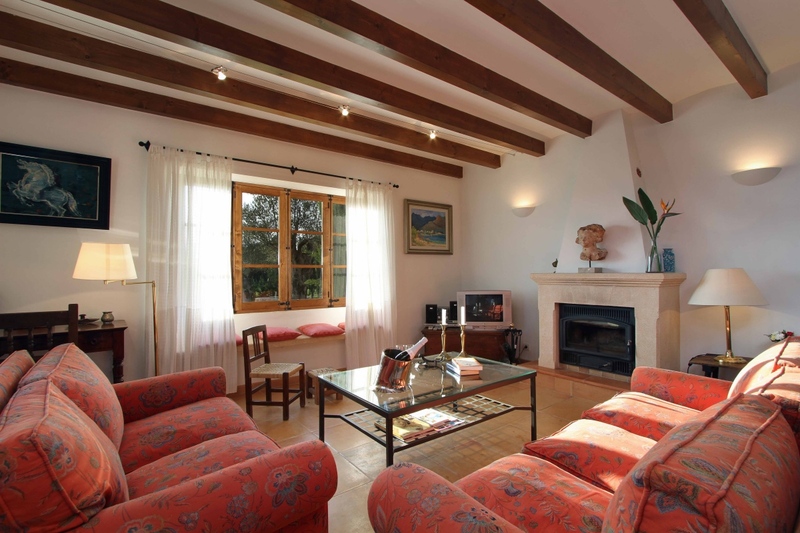 Sat - TV and DVD, also WIFI is available in this beautiful villa. 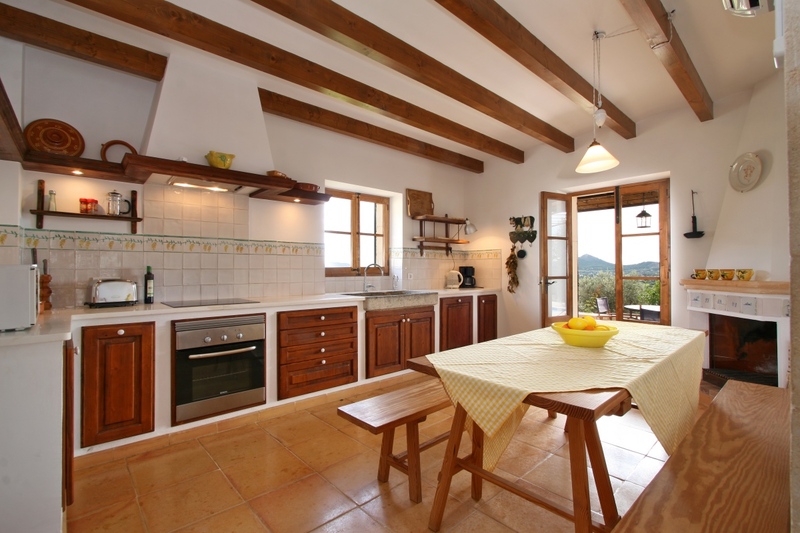 The modern kitchen with dining area has got access to the furnished terrace with wonderful sea views. 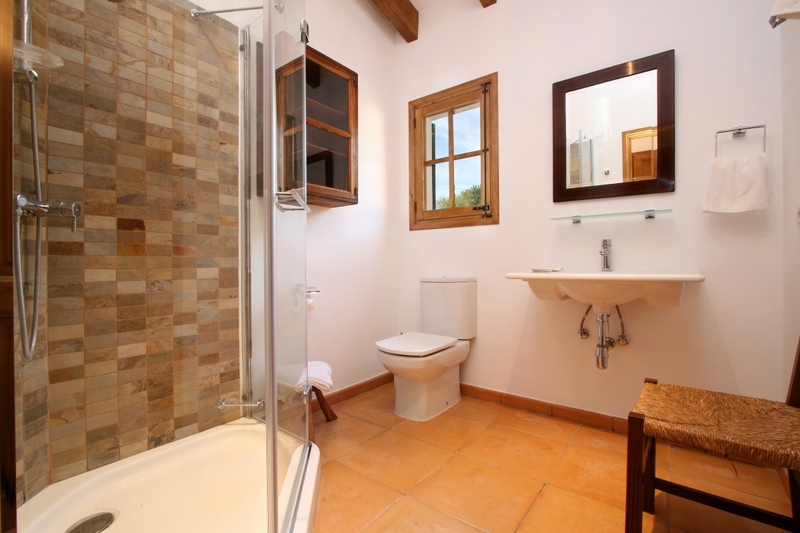 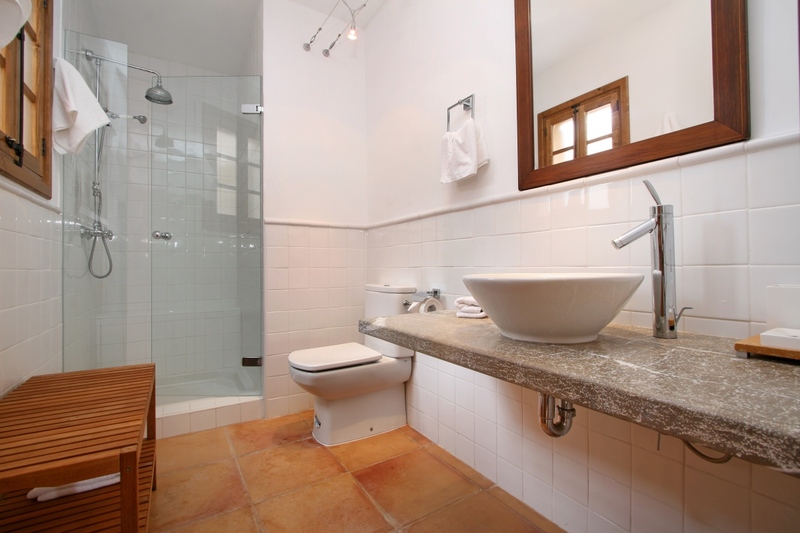 One twin bedroom with full en-suite bath/shower room has exit to the garden. 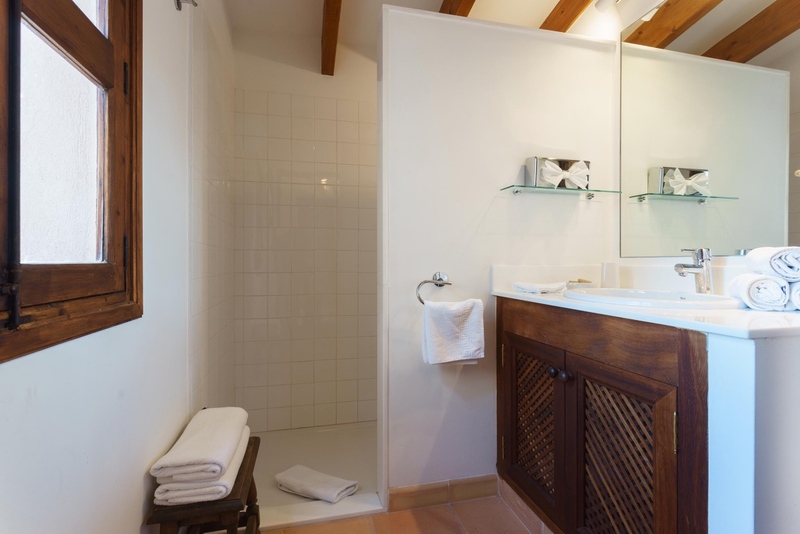 There is another bathrom with shower/WC.